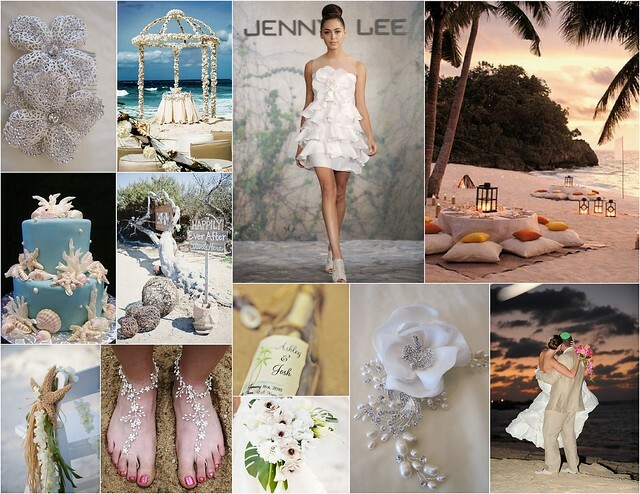 Though your wedding might be on the beach, your wedding day style can be laid back or glamorous. After all, the sea is filled with glittering, gorgeous things. To show you what we mean, we’ve created three seaside wedding inspiration themes accented by real beach-side Bridal Styles brides! For brides-to-be craving an elegant bridal look, think breezy-chic. Consider an asymmetrical mermaid gown paired with a frilly white orchid bouquet. Add just the right amount of shimmer with a stunning crystal-encrusted anemone-evoking hair comb worn at the back or framing the face and delicate earrings. If fresh and flirty is more your style, whimsy is your muse! 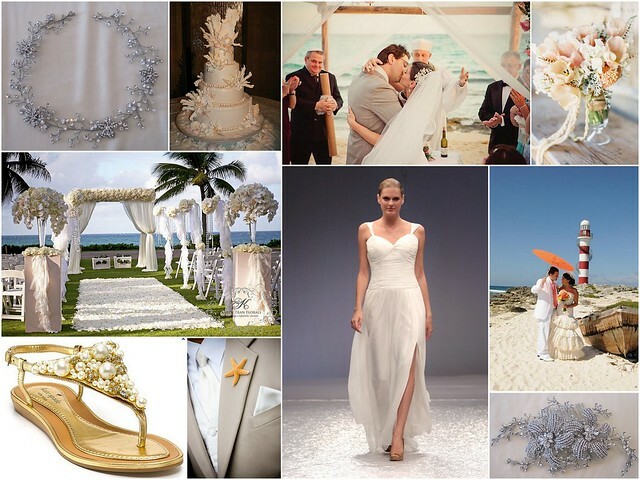 Show off your tan with a gorgeous short wedding dress, and forgo shoes for delicate foot jewelry (available at Bridal Styles Boutique). Finish things off with one of our dazzling hair-flowers and you’ve got a look a modern mermaid would love! Love the idea of an affair with a casual feel but indisputably sophisticated style? Walk down the aisle in a flowing, textured gown. Amp up the glam with a shimmering hair vine entwined in your locks or perhaps across your forehead like a queen of the sea. Thinking you’d like a look even more dramatic while saying ‘I do’? Frame your face with a hair comb of two bejeweled flowers or use the same piece at the back of your wind-tousled up-do! 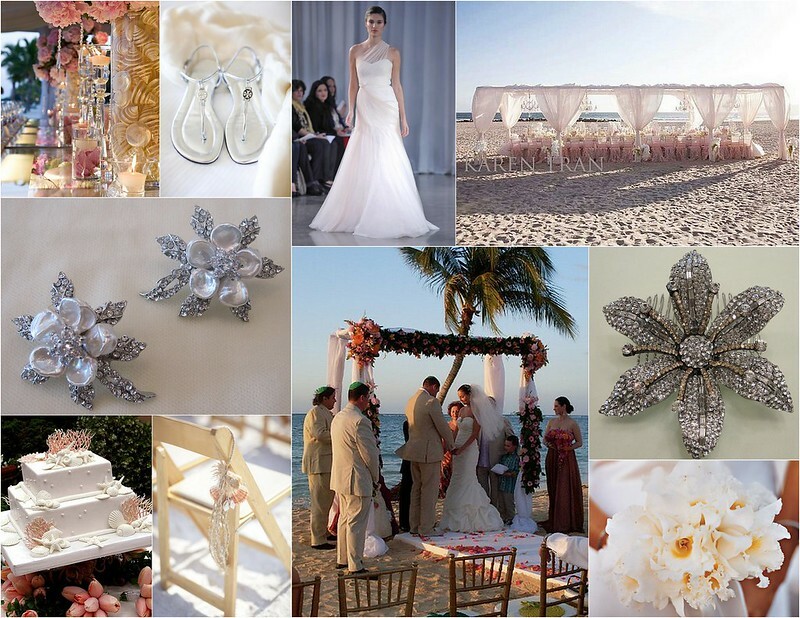 To find your destination wedding bridal accessories, visit us in Brooklyn at Bridal Styles Boutique. This entry was posted on Thursday, October 25th, 2012 at 12:11 pm	and is filed under Blog, Inspiration. You can follow any responses to this entry through the RSS 2.0 feed. You can skip to the end and leave a response. Pinging is currently not allowed.